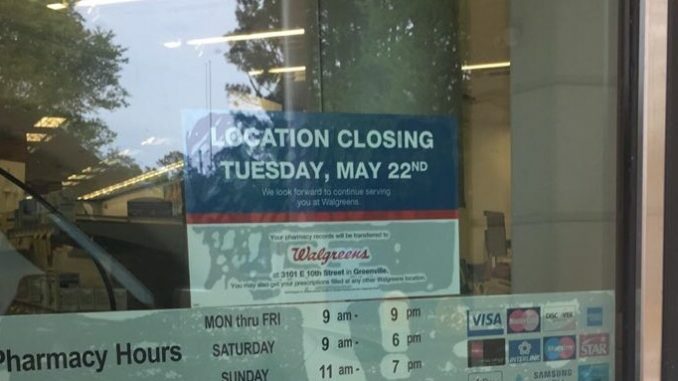 A Rite Aid location recently bought out by Walgreens is closing for good on May 22nd. Rumors suggest that Walgreens is incapable of running a pharmacy that isn’t on a street corner. We did not contact Walgreens for comment.